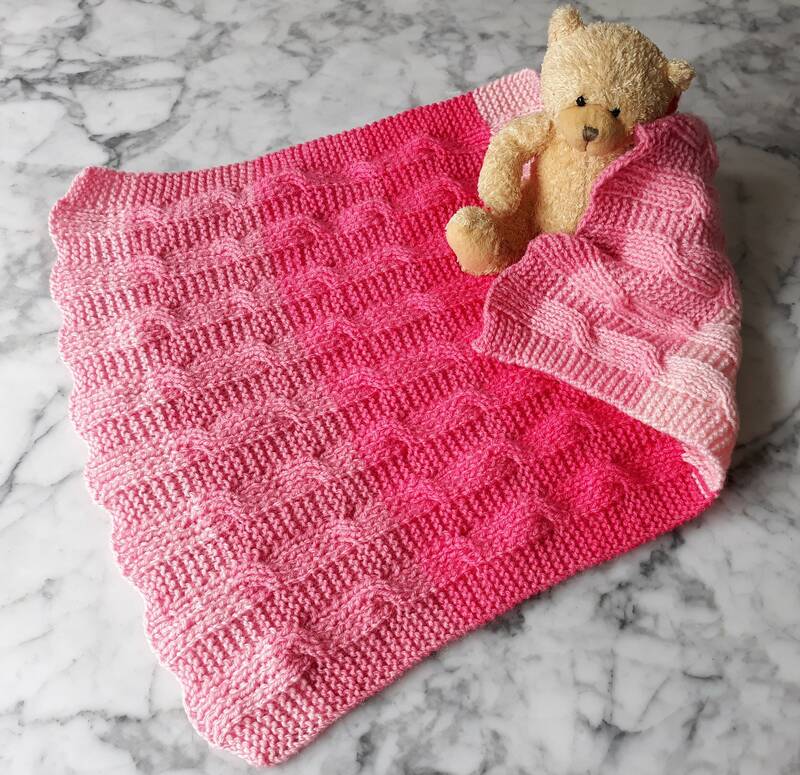 Baby Blanket Knitting pattern: instant download PDF. Easy Aran blanket. Yarn cake knitting pattern. Reversible blanket. Aran baby afghan. 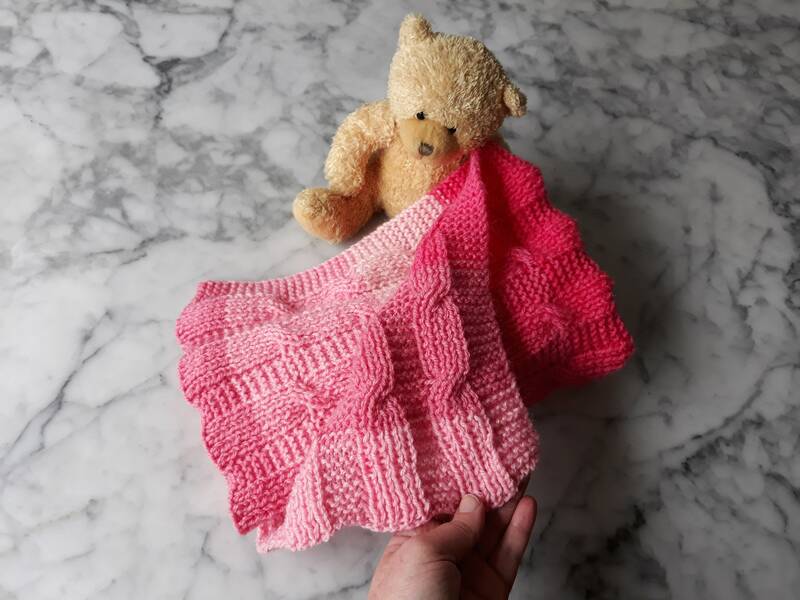 Baby Blanket knitting pattern: The Pluidin baby blanket gets its title from the Gaelic/Irish word for little blanket. 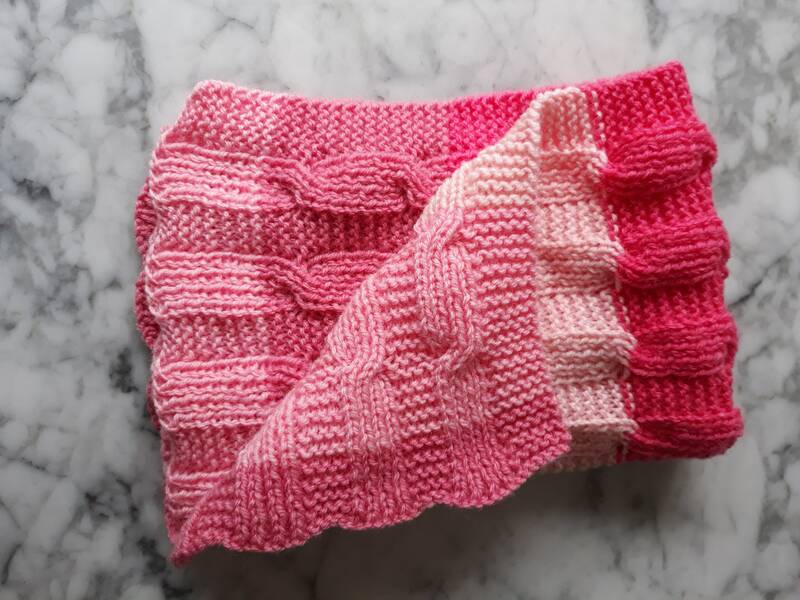 This cute pattern is designed to be easy to knit, and completely reversible. 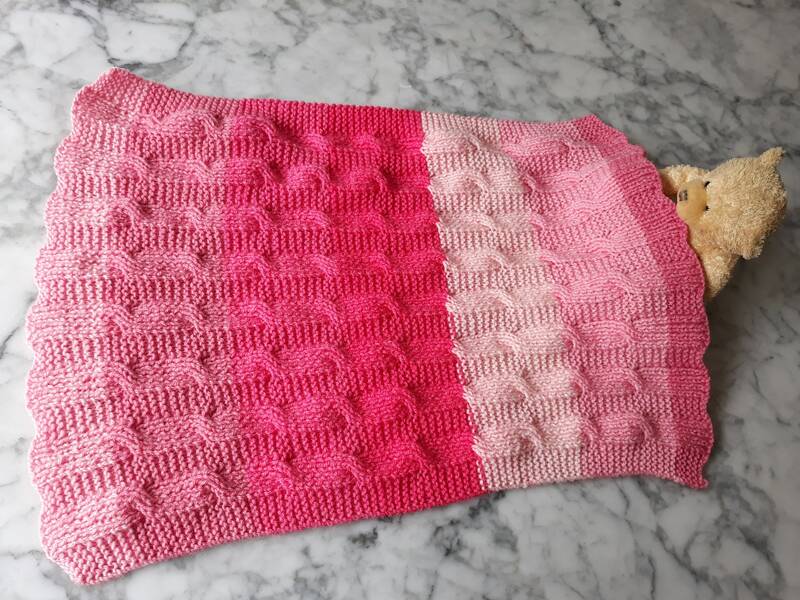 The simple cable pattern only has two different rows in the entire blanket! The blanket is knit back and forth on only one set of knitting needles (5mm or US8), and 200g (350m) of Aran weight yarn. 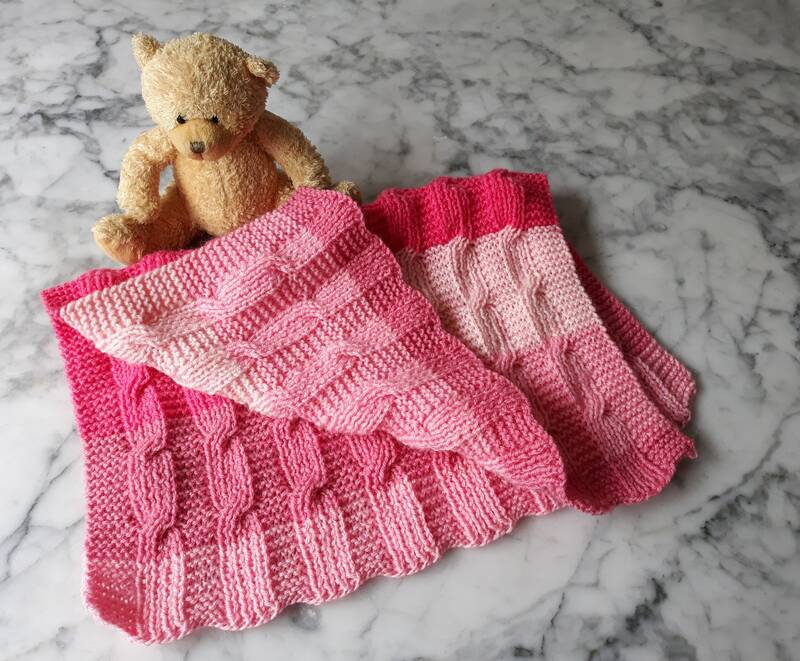 The sample in the photo was knit using one 'yarn cake' - and this pattern is ideal to show off the changing stripes of these lovely balls of yarn, while also working beautifully as a one-colour blanket with its cosy texture. 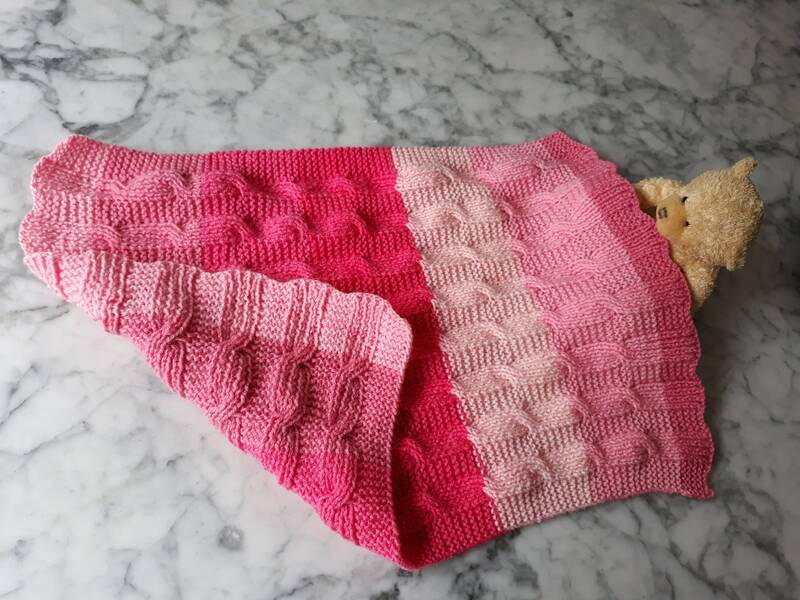 This pattern would suit any level of knitting from advanced beginner to intermediate. 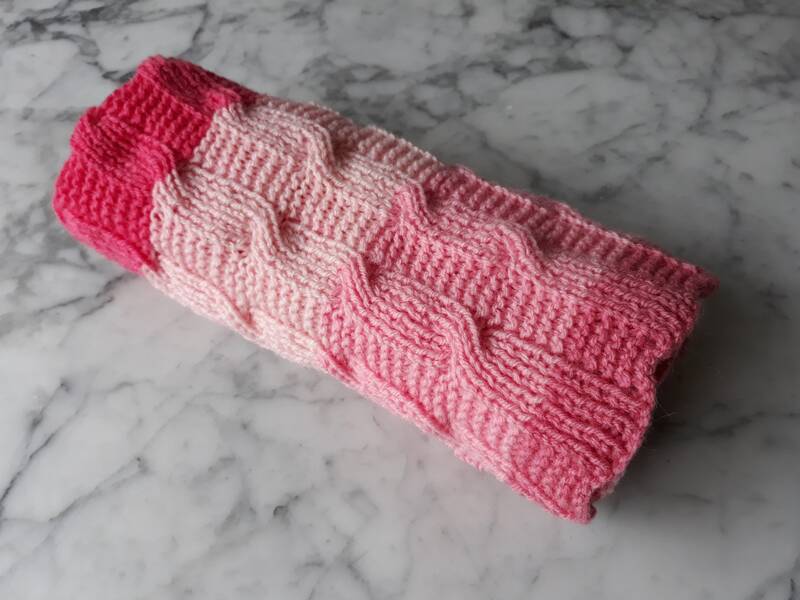 It is a nice relaxing knit thanks to the simple repeating cable pattern. Don't worry if you haven't knit a cable before, you will be able to manage this one! 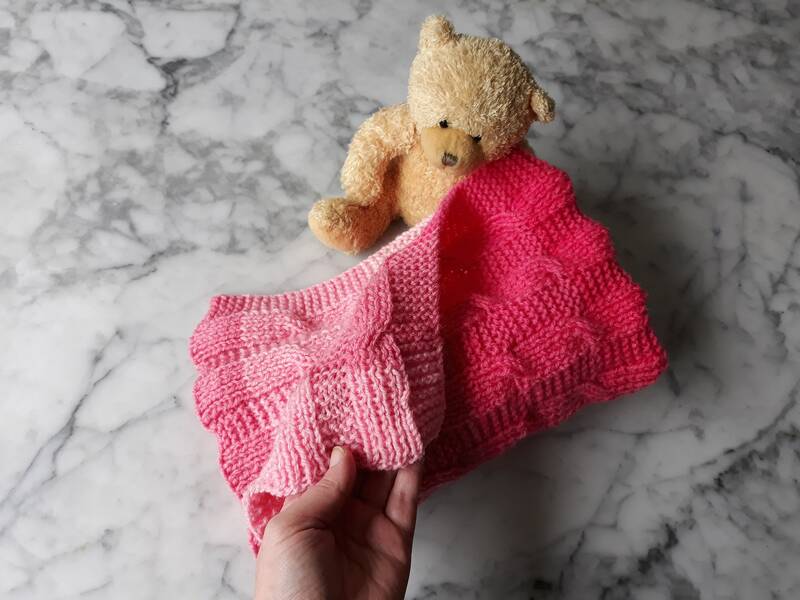 The classic cable pattern would suit a boy or girl (or even make a cosy lap blanket for an adult). The finished blanket measures around 25 inches/64 cm in length, and 18 inches/46 cm in width.